It's great to be a developer these days, as reports continually point to strong demand, great salaries and low unemployment, and the latest quarterly report from careers site Dice.com bears that out -- except for the Web guys, that is. 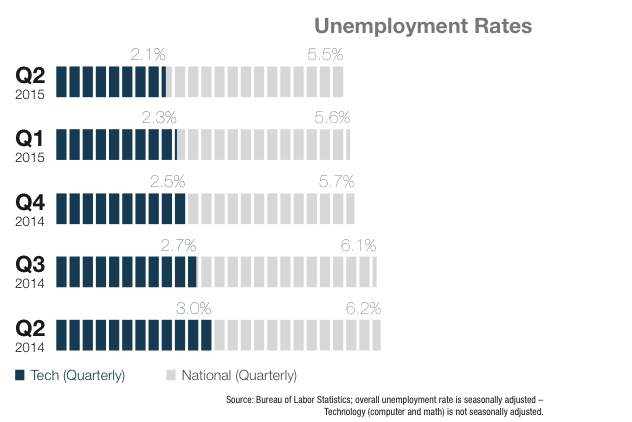 With the national unemployment rate for Q2 at 5.5 percent, the tech industry is enjoying a 2.1 percent rate, and "programmers" and "software developers" are even below that, at 1.8 percent and 1.3 percent, respectively, according to information from the Bureau of Labor Statistics (BLS). All these categories saw their unemployment rates decline from the first quarter's numbers, but "Web developers" bucked the trend, actually rising from 2.1 percent to 3.1 percent. 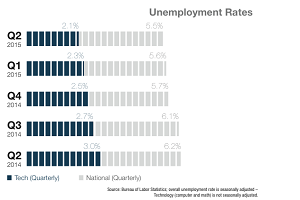 That's still an enviable number for almost anyone, but a full percentage point hike stands in stark contrast to "programmers," whose unemployment rate fell from 6.5 percent to 1.8 percent from Q1 to Q2. And that's not all. 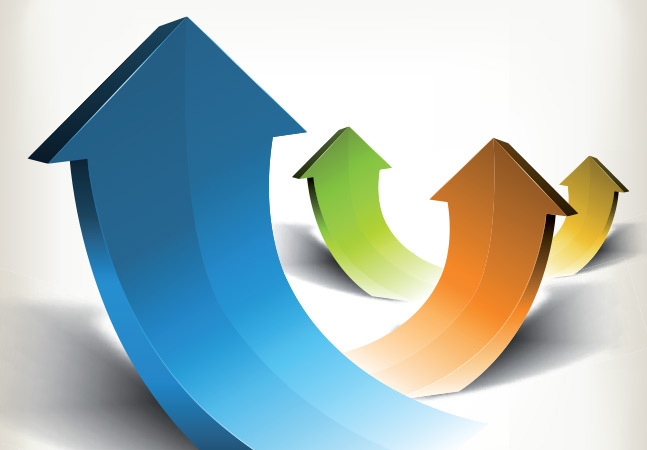 "Computer support specialists, network and systems administrators, computer and information systems managers, and database administrators also saw their respective unemployment rates rising slightly," Dice said. The careers company also noted an increase in layoffs and discharges across the entire tech industry. "Layoffs and discharges for the tech industry as a whole rose slightly in April and May (the latest months for which the BLS had numbers), to an average of 441,500 employees per month," Dice said. "That's higher than the first quarter, when layoffs and discharges averaged 424,300 per month." Dice also said nearly 500,000 tech pros voluntarily quit their jobs in both April and May, which indicates "people feel confident about striking out for better opportunities." And better opportunities abound, especially in the hot segments of Big Data and mobile development. Red Hat just last week came out with a new survey pointing to strong demand for mobile developers, quoting Gartner Inc. research that indicated "By the end of 2017, market demand for mobile app development services will grow at least five times faster than internal IT organizations' capacity to deliver them." Red Hat said 50 percent of respondent organizations planned to hire mobile developers this year, with front-end development the most sought-after skill. That mirrors myriad other studies showing the huge demand for Big Data and mobile skills, with enterprise developers especially enjoying a "gold rush" and their employers forced to seek outside help. So, for now, it can be chalked up to a momentary aberration. As Dice noted even in light of the increased unemployment rate for Web developers, "If you build Web sites or apps, your prospects look pretty good." The company concluded: "Considering the unemployment rate, those with the right combination of skills and experience can certainly have their pick of offers."